A longtime resident of the North Shore, Marsha Schwartz is a Chicagoan by choice. Having lived in various North Shore towns for over 30 years, she takes pride in "selling" Chicago to prospective new residents, transferees and others moving to the suburbs. Marsha was first transferred to Chicago, transferred away, and came back to the North Shore by choice. Marsha enjoys gardening, gourmet cooking, reading, and going to the movies. She takes advantage of Chicago's many beautiful areas by walking in the local parks or along Lake Michigan. She takes pride in showing people the cultural attractions, beaches and parks, recreational activities, and restaurants each area has to offer. Being involved in professional Realtor organizations and several community groups including the Chamber of Commerce where she served on the Board of Directors has made Marsha a good resource for area information. For sellers, her familiarity with target market groups, help sell their home. Her "staging" expertise,negotiating and marketing skills are unsurpassed in the industry. Marsha´s "caring" attitude is a testament to her skill as a "trusted advisor" to both buyer and sellers. Over 90% of Marsha´s business is from referrals. She has made a commitment to doing almost exclusively business by referral, although each year she accepts some new clients into the fold. 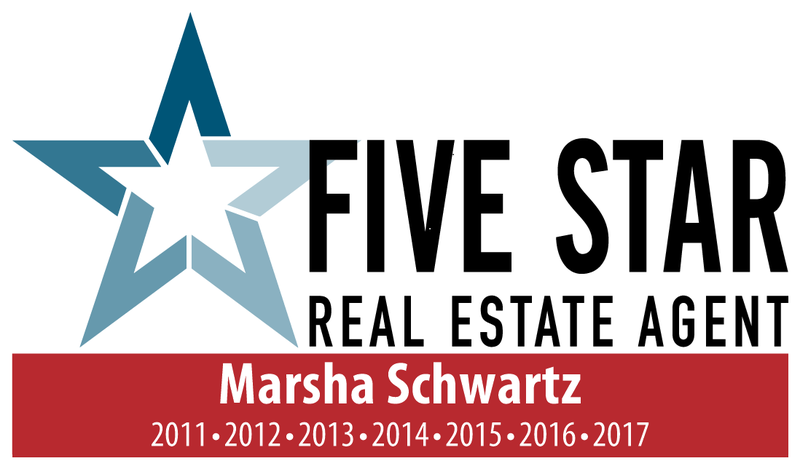 Marsha has experienced more than two decades of success as a real estate professional in the North Shore and the north and northwest suburbs of Chicago. She ranks in the top 2% of all agents nationwide. Past clients attribute that success to her ability to build and foster great relationships and to make people feel cared for and comfortable. It's her personal touch, her attention to detail and her dedication to her client's individual needs that are remembered most. According to Marsha, knowledge is essential in counseling her clients to achieve their real estate goals. As a licensed broker and full-time agent with designations of GRI (Graduate of Realtors® Institute - which many equate to a master's degree in real estate), CRS (Certified Residential Specialist), SRES (Senior Real Estate Specialist) and Certified Relocation Specialist, she has the tools necessary to guide her clients successfully through any real estate process. Additionally, she holds an e-PRO designation and uses this information to market and sell her clients' homes quickly using cutting-edge technology. Technology, designations, education and experience aside, Marsha believes the most important element of her career is the people-her clients. She loves her work, loves Chicago and finds no greater satisfaction than helping her clients realize their dreams and make the most of this special area.